These one-day workshops are an introduction to, or a reminder of, the Dark Angels philosophy – and the exercises and discussions that make our courses unlike anything else, anywhere. Infectious – it's a must! "Dark Angels is a breath of fresh air ... using different briefs we were able to explore (without the normal limitations) our writing potential. I surprised myself with my creativity. Since returning to the office I have used the practical tips to profoundly change my approach to writing. Led by two English Literature fanatics whose passion and knowledge of this subject is really infectious - it's a must! And, most of all we had fun and met some great people." Strawberry Hill House was the retreat of Horace Walpole, a man of letters who happened to coin one of Dark Angels’ favourite words, 'serendipity'. The Dark Angels taster day includes a private tour of this extraordinary house. Britain's finest example of Georgian Gothic Revival architecture and interior decoration, Strawberry Hill began life in 1698 as a modest house, built by the coachman of the Earl of Bradford. It was transformed into 'a little Gothic castle' by Horace Walpole, the son of England's first Prime Minister. Between 1747 and 1792 Walpole doubled its size, creating Gothic rooms and adding towers and battlements in fulfilment of his dream. 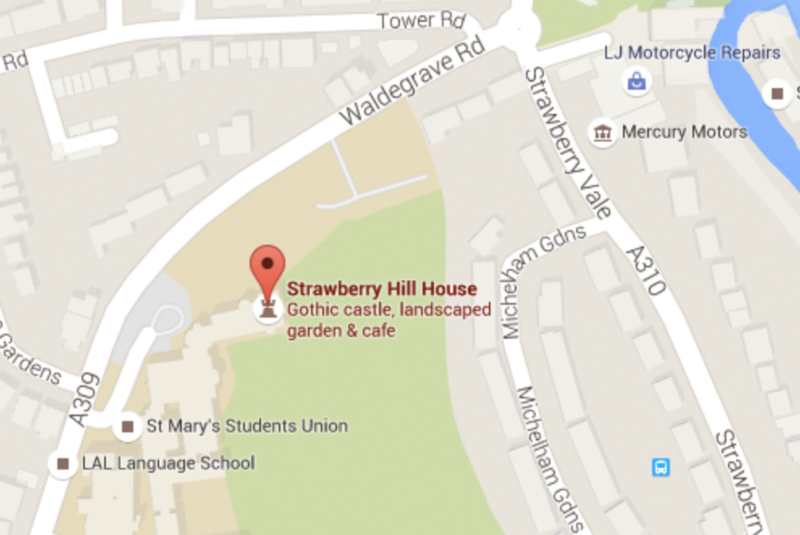 Full of atmosphere and literary associations, Strawberry Hill is a place to awaken even the weariest of imaginations. 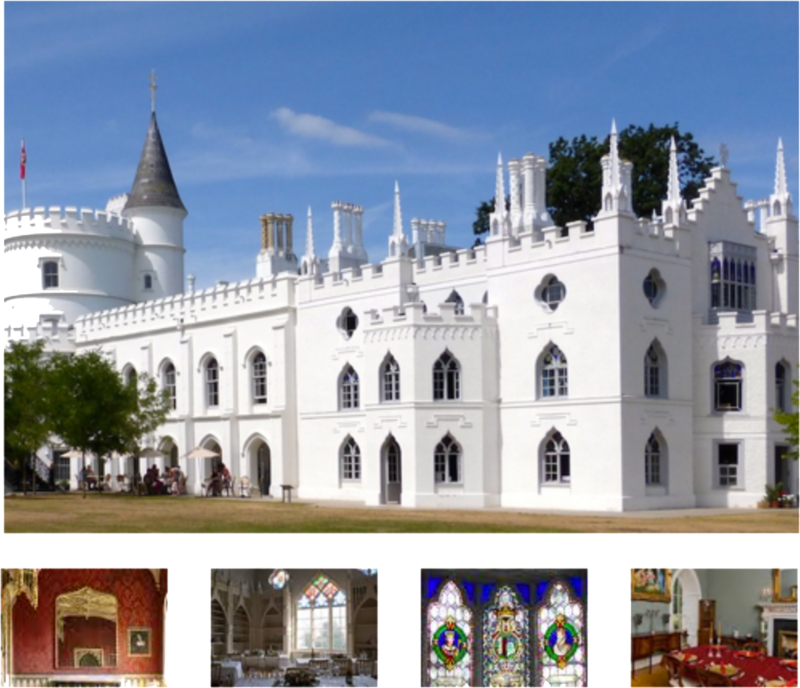 Strawberry Hill House is in Twickenham, southwest London, and easily accessible by bus, train or underground. Car parking is limited. Follow this link for full travel options.